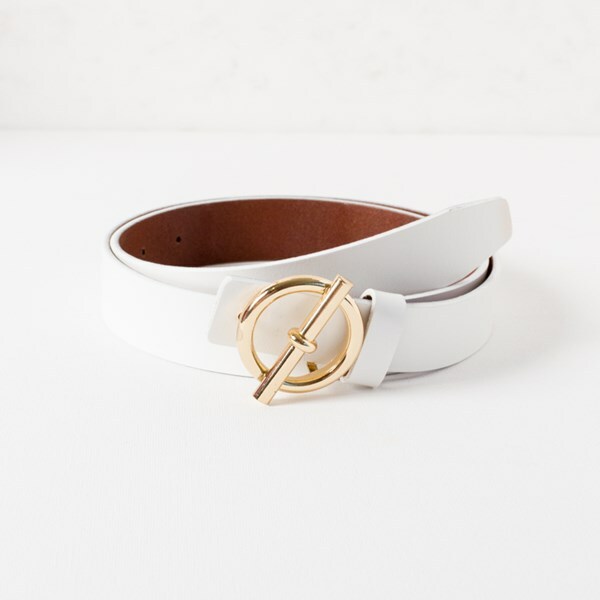 Our Laurent chic buckle belt is oh so stylish & on trend! Featuring gold-tone hardware, this belt will add a chic feel to any outfit. Vegan Leather, Gold Plated Metal.